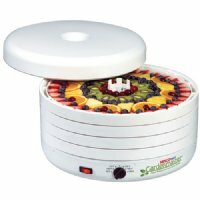 Nesco / American Harvest Gardenmaster Professional Dehydrator & Jerky Maker. "The world's Fastest most even-drying dehydrator". With this Gardenmaster Professional Dehydrator, you can make great-tasting, low-carb food and high protein, low-fat Jerky!